South Korean game developer ekkorr has an upcoming mobile title called Metal Slug Infinity, an idle RPG for Android and iOS. The game is currently open for pre-registration on the Play Store. 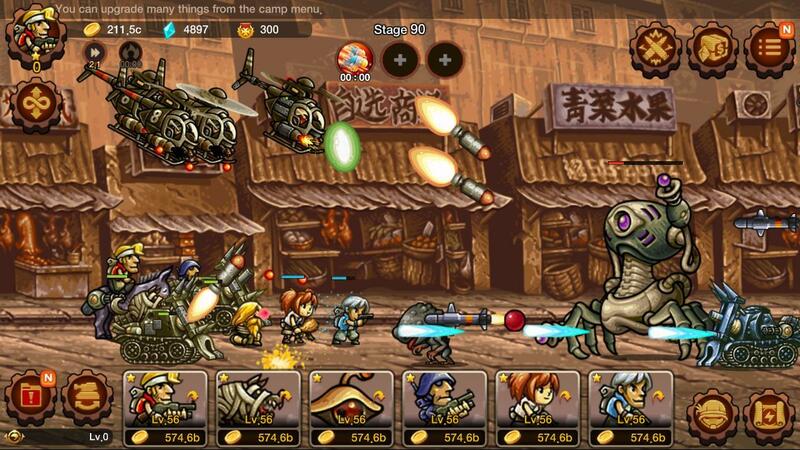 As an idle RPG, Infinity deviates from the classic run-and-gun gameplay of the Metal Slug franchise. Instead, the game uses old-school Metal Slug assets to create a more casual, passive experience where players manage their troops and equipment with simple screen taps. A specific release date has not yet been revealed. It appears that the game will be free-to-play with in-game purchases, although ekkorr hasn’t yet confirmed specifics.